When I created these, I thought it would be clever to have the tag line for this behavior management system be "Give behavior a punch! "...but then I realized that was a bit of a contradiction with what I am trying to teach. Then I decided they'd be better off with a superhero theme because who doesn't admire a superhero?! 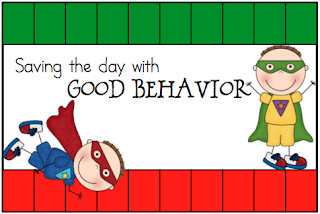 I teach a kindergarten and first grade self-contained 12:1:1 class, so I have a wide range of behaviors and abilities. Some of my students are on the cusp of going into a mainstream general education room in 2nd grade, and others are still learning the ropes of self-contained and fresh out of pre-K. Either way, we are one big happy family and we need to work together. 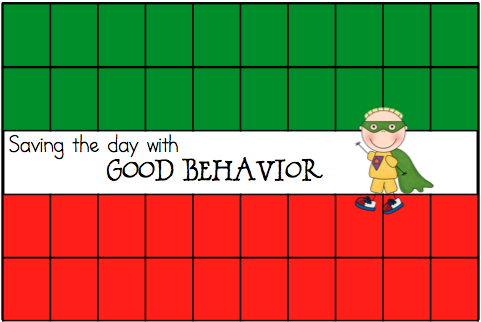 I worked with a teacher in the past that used green and red beads as a behavior management tool. Each of her students carried a little tupperware container around that had a hole in it on top. When they made a good choice, they got a green bead. When they made a bad choice, they got a red bead. She had a system for figuring out how much free time or time out they had depending on the number of beads in each color at the end of the day. I loved how consistent and concrete this was. One of the criticisms that special education teachers have for "traditional" behavior color charts is that sometimes you run out of colors! You want to praise and reprimand as often as possible, but you find yourself thinking, "This kid is going to be on red and it's not even 9:30am!" Sometimes the praise and reminders that I give are not necessarily worthy of moving a color up and down our color chart, but my students need a concrete reinforcement for the good and bad choices. 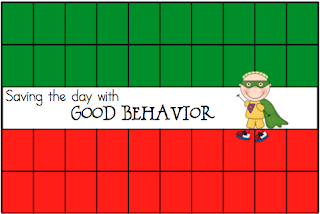 I have also used behavior charts in the past where the child had to bring me his chart after each subject and either got a smile or a frown. Even this seemed to fade after a while. There is something I love about that little bead or little click of a whole puncher making the kids understand the behavior has a consequence or the good choice pays off. These punch cards can be used in a variety of ways, but this is how I use them. I do in fact use a traditional color system for behavior management. They earn a green punch on their card for a good choice and red punch when they needed a reminder. I give new punch cards to every student on Mondays and if they fill their green side up before they fill the red side up, then they enter their punch card in to our “punch bowl”. On Fridays I pick a punch card and that child earns a prize or privilege. Once they fill up a card they get a new card, even if it’s not Monday. This encourages the kids to get green punches as often as possible! You can keep the cards on their desks or have them wear them around their necks (sometimes distracting). I like having them keep them with them because you can easily give a punch when you are out of the classroom. 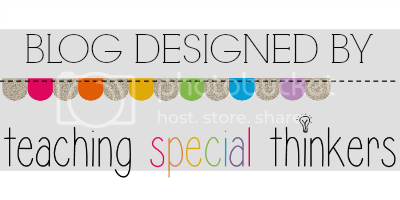 In celebration of my first week back to school, my punch cards are free until Friday so click here to download them for a limited time!